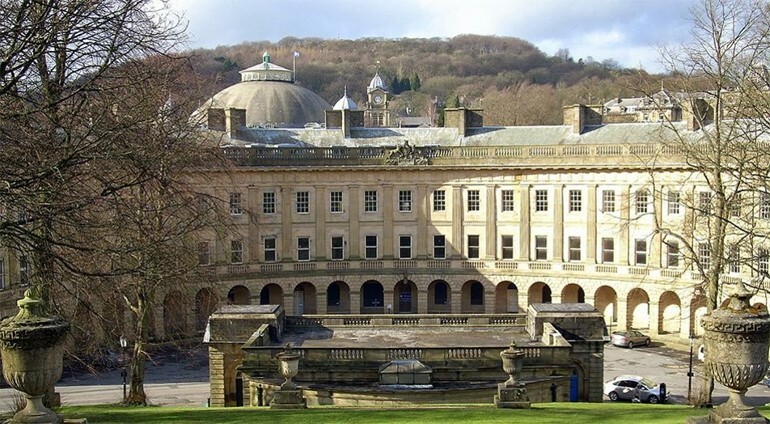 The Crescent was the centrepiece of the Fifth Duke of Devonshire’s plans to establish a fashionable Georgian spa town in Buxton. The grade 1 listed building is one of the most architecturally significant buildings in the country. 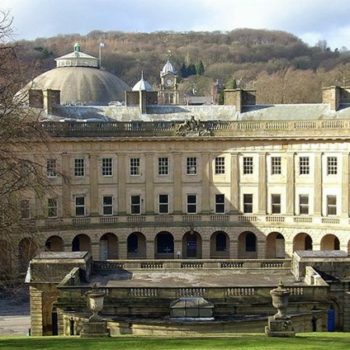 The redevelopment and restoration will secure a major investment of circa £50 million in Buxton and put the town back on the national and international map as England’s leading spa town. The project will create in excess of 140 permanent jobs, 350 construction related jobs and many more permanent jobs indirectly through new spa-related businesses resulting in a boost the local economy by over £4.5 million. The Crescent and Thermal Spa Experience and development of the Pump Room will also provide new indoor attraction for residents, visitors, groups and schools. Plans for the Crescent include a 80-bedroom 5* spa hotel occupying the majority of the Crescent and which will incorporate the magnificent Assembly Rooms and a thermal natural mineral water spa in the Natural Baths. The project will also feature 6 retail units in the front ground floor. The project is estimated to cost over £46 million. Buxton Crescent & Thermal Spa Co Ltd will fund just under £18 million with the rest coming from the public sector. Crucial to the success of the scheme is a £23.8 million grant from the Heritage Lottery Fund together with a £2 million grant from the D2N2 Local Enterprise Partnership and £0.5 million from Historic England. High Peak Borough Council and Derbyshire County Council are each contributing £1 million each. Vinci Construction UK started work early in 2016 and it is anticipated that the Hotel and Spa and Pump Room will open in 2019. The Buxton Crescent & Thermal Spa Heritage Trust Ltd will run the Visitor Experience in the Pump Room and a selection spaces in the Crescent. Having been empty and unused for many years the restoration and redevelopment of the Hotel & Spa is a major project. It presents considerable construction challenges for the main contractor, Vinci, and the specialist contractors involved in returning this magnificent building to its former glory. 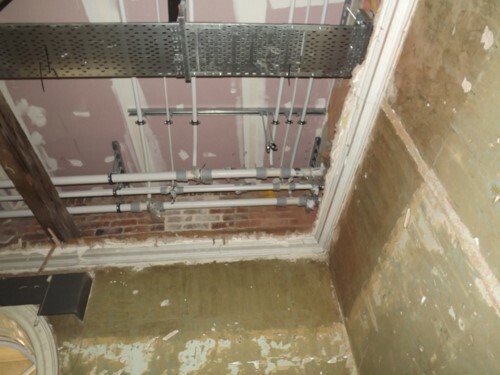 The building, although suffering from many years of neglect, retains many original and important features which require careful consideration whilst undertaking the project works. It was partly due to the specific challenges of the project that Imtech, the M&E services provider, decided to incorporate the Aquatechnik Safety System into their solution for the heating and potable water distribution system. 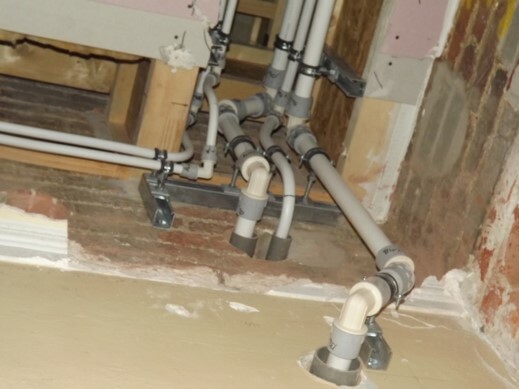 The unique features of the system satisfied the challenges of the project due to its ability to meet the demands of long pipe runs with minimal joints, along with easy and quick installation. The full-bore fitting system provides improved flow rates over other similar systems ensuring the associated energy costs are minimised. The PEX-Al-PEX construction provides long life and durability with excellent warranties to give the client and public-sector bodies piece of mind. The project is due for completion in mid-2019 and is currently progressing well due to the speed and ease of installation of the Aquatechnik system. The existing structure of the building, along with the specific construction works required to comply with modern building standards, has posed challenges for Imtech which ordinarily would be extremely difficult to overcome. 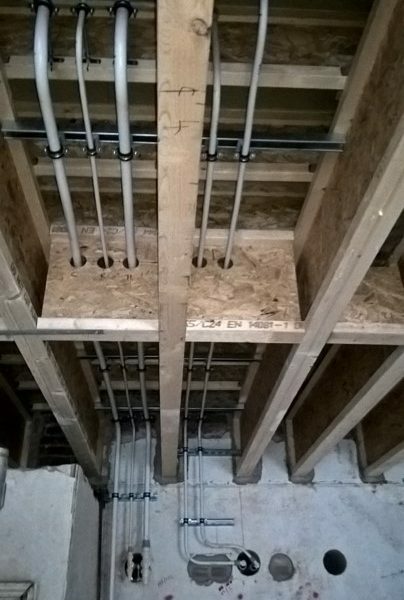 Utilising the ‘Multicalor’ pipe, which is available on coils (with no re-coil/memory when straighten) up to 32mm diameter, has enabled the routing of pipes to be made with minimal disturbance to existing structure. 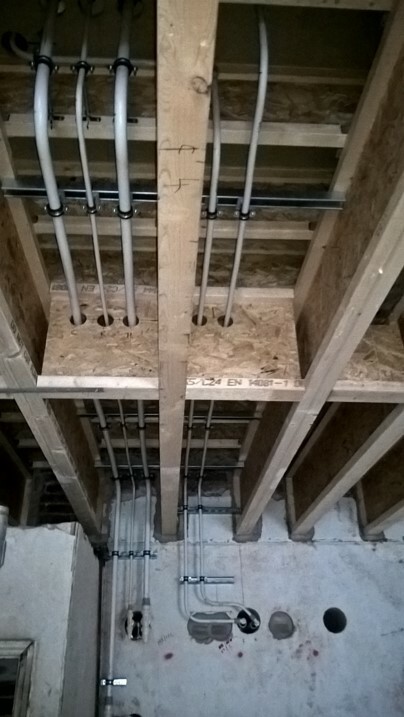 Although the pipe is flexible enough to facilitate this, due to its 5-layer composition with a fully welded aluminium centre core, it retains sufficient rigidity so as to prevent excessive expansion usually associated with a non-metallic pipework system. The modular and close coupling feature of the Safety Pol fitting system enables fast and simple transitions between the levels and directions of pipe runs, saving both time and space.